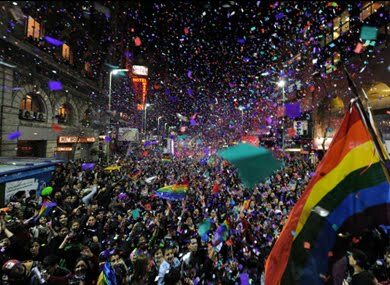 A look at hundreds of gay rights supporters in a fight for equal rights dance and cheer during the annual Gay Pride Parade in Montevideo, the capital of Uruguay. I’d like to note that civil unions are legal here, too. And have been since 2008.